The first day of this workshop was anything but boring. The first thing that struck me, was that I am spending a week with people from all over the world, interested in the same thing: Teaching evidence-based health care (EBHC) – although this is quite obvious from reading the title of the workshop, it is great to be surrounded by people who know what EBHC is and who do not need to be convinced that teaching EBHC is essential! A teacher should take his knowledge, simplify it and communicate it to the learners – this in itself is a challenge. How do I explain difficult EBHC concepts to learners who know little about the field? This is only one of the questions I am hoping to have answered by the end of the week. 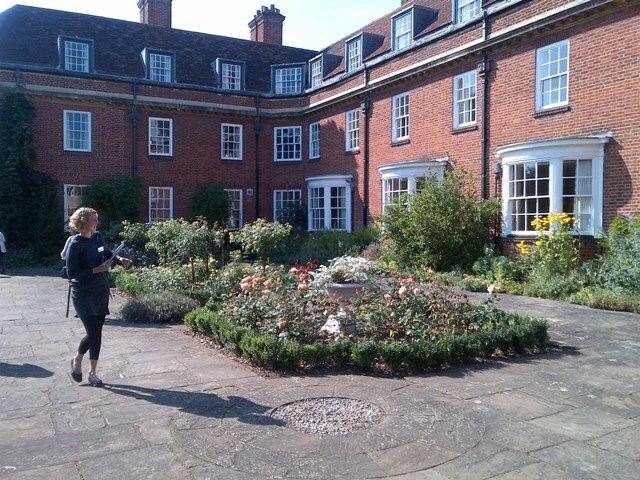 Luckily the wheather allowed us to spend part of the afternoon session in the lovely garden of St. Hugh’s College. So, what do you think are other characteristics of a good teacher? Your list of characteristics resonates with the work of Trigwell (2001) and of course, Chickering and Gamson’s (1991) seminal principles of good practice in undergraduate education. Further additions could be things like demonstrating respect for your students; and being aware of context, and teaching accordingly. Carpenter and Tait (2001) suggest that good teaching is about ‘creating places and spaces for engagement between the teacher and the student and between students themselves’. Presumably a good teacher is one who can facilitate such engagement – this requires careful and ongoing critical reflection on one’s practice. Elton (1998) however reminds us that ‘teaching excellence is not a simple concept and, as a concept, lacks precision’. He also cautions that not all teachers will display all of the characteristics of a ‘good teacher’. Enjoy – I am very envious. It all sounds most interesting and stimulating. Thanks, Susan. This resonates with what we have been talking about here at the workshop. I have read articles by Northedge before. Your reference to the work has reminded me of this and generated lots of thoughts – very relevant indeed.